We are very excited to begin a new year of upbeat, hands on learning with your children. Imagine a Hebrew School where kids don't want to miss a day. They come in with a smile and leave humming a song. Walking through the halls, you can hear the sounds of lively discussion, of singing, laughter and learning. Imagine a child who feels the warmth and spirit of Judaism. Imagine the pride of his/her parents. 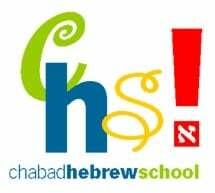 Welcome to Chabad Hebrew School, an exciting and innovative educational program in Naples. We are delighted to inform you that classes at our Hebrew School are filling up. Classes will once again take place at the beautiful state-of-the-art Chabad Jewish Community Campus. We are very proud of the growth and success of our Hebrew School and the incredible response to this year's registration!! Thank you to all who registered already! We encourage your response today so that we will have the correct placement for your child and teachers will be ready to proceed. We are planning an exciting, educational year for Chabad Hebrew School. The richness and beauty of our Jewish traditions come to life at Chabad. Our dynamic programs educate, stimulate and excite children and offer practical relevance. We believe that a child's Jewish learning must be creative, memorable and fun. Our top priority is to create an interactive learning environment in which each child feels welcome and motivated. As always, feel free to call me at 262-4474 with any questions. Wishing you a healthy and happy summer. Check out our cool Hebrew School video! Click here to access Homework. Hebrew School is an incredible opportunity. 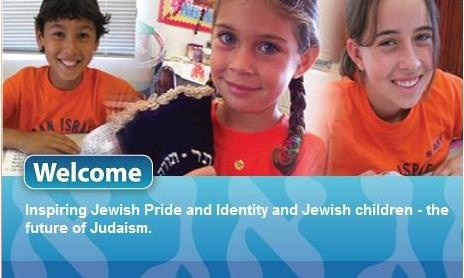 We have the chance to inspire future adults with a sense of Jewish pride and awareness. At Chabad our goal is simple: We want our students to view Judaism in an intelligent, relevant and upbeat light. We hope to engage their senses of identity by capturing their imaginations and attention. So, we put a lot of effort into providing our students with substantive lessons and a positive atmosphere. Check out our new Hebrew School Video here! We're forging new paths to a kid-friendly Jewish education by devising an original curriculum which projects a clear vision of the students' entire Hebrew School experience. Each step follows a logical progression, creating an interconnected and upwardly spiraling education. Basic topics such as Shabbat, Holidays and Kosher are 'packaged' differently each time they are revisited, so that those units don't seem repetitious. The lessons are multi-sensory and hands-on. The students truly experience what they are being taught. For example, if we discuss G‑d's creation of flowers, we use a real flower - not a description, a photograph or even a silk replica of a flower. The classroom representation is as realistic as possible. The lessons are structured with discussion-starters, to create a lively, interactive classroom experience. The information truly becomes the students own. Our Hebrew School uses original Hebrew-reading methodology (in addition to some of the wonderful reading aids already available) to ensure that your child will read fluently at the end of his/her Hebrew School experience. Last but not least: There's really something special about the teachers. They are trained in Judaic teaching programs in the USA and Israel and actually live the material they are teaching - and there's nothing like teaching by example. Our mission is to make the richness of our Jewish heritage accessible to every Jewish child, regardless of his or her background or education. Through meaningful experiences and a joyful approach to our traditions, we aim to inspire within our students a love for learning about Judaism, and to develop a strong Jewish identity and commitment to using Torah values as a guide for meaningful and productive living. We believe that real learning happens beyond the traditional textbook style of imparting information; a child really learns through engaging with the subject with all of one's senses and emotions. At Chabad, the children don't simply learn about Shabbat, rather, they experience Shabbat - they prepare for and celebrate a real Shabbat. Our curriculum is developed using a hands-on, minds-on and souls-on approach, with age appropriate standards of knowledge and skills. A great deal of thought and planning is put into the preparation of materials, lessons and projects to ensure that what is gained each week is relevant, meaningful and lasting. Hebrew Reading: Reading in the original language of the Torah and prayer is a key component of being involved in Jewish living. Therefore, we work with each child individually as s/he learns to read the Hebrew language. We use the nationally acclaimed Aleph Champ™ reading program which uses the motivational aspect of 'rising through the levels' to help students reach their goals. Students begin with the letters of the Aleph Bet, advancing towards fluency in reading the prayers from the Siddur (prayer book). Jewish History: The history of the Jewish nation is really the story of every individual Jew. Beginning from the Six Days of Creation and moving through time , the children explore the incredible journey of the Jewish people, and in effect, of themselves. Lessons are interactive, fascinating and relevant; children meet biblical and historical personalities and learn their stories – their challenges, their triumphs and their contributions. Children are inspired to add their link to the chain of Jewish history. Mitzvot and Jewish practice: Children learn the how's and why's of Jewish living. The Torah is full of fascinating and interesting rituals and values to help guide us in living meaningful and productive lives – even (or perhaps, especially) in contemporary times. Lessons are engaging and exciting – with lots of projects, activities and discussions. Tefilla– Prayer: Through songs and discussions, children become familiar with basic liturgy and prayers and get acquainted with the Shul (synagogue). The easy way to pay your tuition!